The recent floods in Britain have unearthed bombs of WW II, creating hazards for the locals. 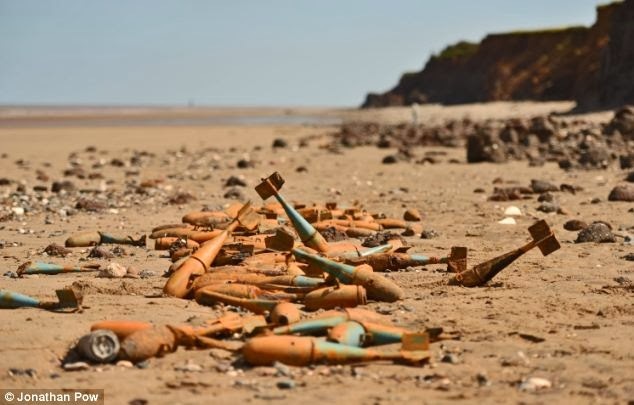 it is reported that the storms that have ravaged and reshaped parts of the British coastline have led to the discovery of wartime shells long-buried on beaches. Although it is reported that the explosives were dropped by Luftwaffe during the war. But the photo shows mostly unexploded mortar shells that seem to have been lost in crates and burred under the soft beaches.